NEWPORT BEACH — At its Nov. 28 meeting, the Newport Beach Tidelands Management Committee discussed the possible reorganization of the 11-year-old Newport Beach Harbor Commission, and it outlined a plan to create a special harbor fund for harbor-related projects and improvements. Under the plan, the citizen-run, council-appointed Harbor Commission would change from its current seven members to include two Newport Beach City Council members that could potentially become voting parties for harbor-related matters. In addition, the committee is considering a move to change the name of the Harbor Commission, which would be relabeled the “Harbor Tidelands Management Committee.” Under the plan, the newly named committee would be chaired by one of its two members from the city council. According to Newport Beach City Councilman Mike Henn — chairman of the Tidelands Management Committee — the move is being proposed to “improve communication” between harbor commissioners and city council members. While the new organization structure might lead to better communication between the two bodies, harbor commissioners — both past and present — voiced concerns about the new council-led committee structure and the name change. In 2011, the city council formed the Tidelands Management Committee to create a tidelands infrastructure master plan that focused on future projects, needs and maintenance programs for the city’s beaches and waterways. The plan, now called the Tidelands Capital Plan, has laid out expenditures in the harbor on a five-year timeline and includes projects such as future dredging, new public docks, the Marina Park project, seawall repair, special maintenance projects and water quality testing. At the time, the move irked some Harbor Commission members, who felt the committee had been formed to get the plan passed without consulting the Harbor Commission. The Tidelands Management Committee — composed of Henn, Mayor Nancy Gardner and Councilman Ed Selich — included a Citizens’ Advisory Panel, but only one Harbor Commission member was included in the process. City Manager Dave Kiff said a possible option could be to continue the Tidelands Management Committee and the Harbor Commission in its current structure, with both groups holding meetings on the same day that would overlap, allowing for dialog to take place between the two. Jeff Herdman, a member of the Citizens’ Advisory Panel of the Tidelands Management Committee, said he just wants to make sure the work the group put into the harbor management plan gets enacted. 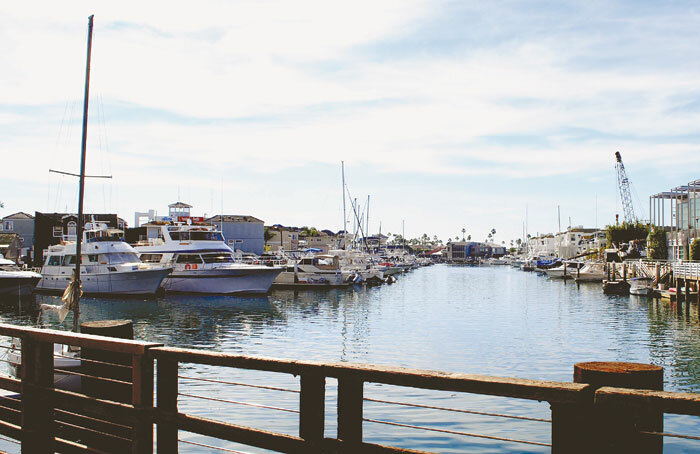 With the city’s harborwide fee increase plans about to be completed, another plan is being launched to make sure the extra revenue produced in charges for Newport Harbor facilities and activities will actually be spent on the harbor. Assistant city attorney Michael Torres outlined potential options for a special harbor fund in Newport Beach that would allocate money to be spent directly on harbor tidelands, and not be intermixed with beach expenditures. The move would further segregate monies generated from harbor uses to not just reach the requirement to be spent on tidelands, as laid out in the Beacon Bay Bill (SB 573), but to be specifically used for the benefit of the harbor. The money from the city’s recent mooring fee increase, commercial marina and other harbor businesses’ rent increases and the impending residential pier fee increases are expected to go into the new fund.